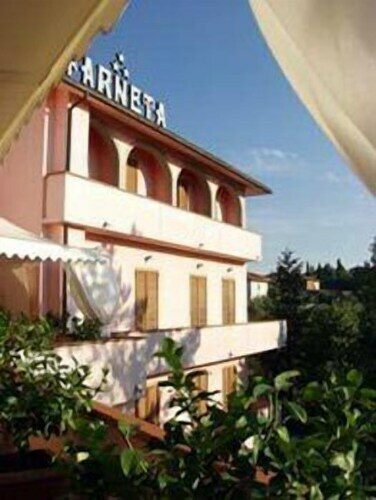 Situated in a rural location, this hotel is 0.1 mi (0.1 km) from Farneta Abbey and 2.2 mi (3.5 km) from Val di Chiana. Golf Club Valdichiana and Valdichiana Outlet Village are also within 6 mi (10 km). 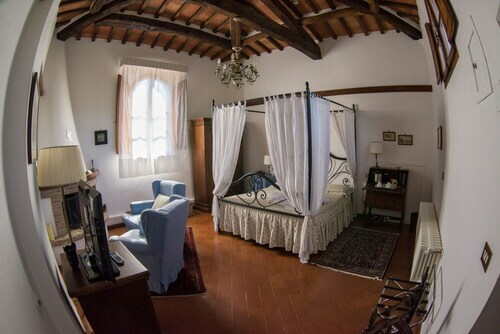 Situated in Cortona, this golf hotel is within 9 mi (15 km) of Golf Club Valdichiana, Valdichiana Outlet Village, and Santa Maria delle Grazie. Church of S. Francesco is 8.9 mi (14.3 km) away. Pet owners shouldn't miss Farneta, a charming city known for its restaurants, as well as great attractions like Farneta Abbey and Tenuta Valdipiatta. Choose from Travelocity's 2 pet-friendly hotels and accommodations in Farneta and bring your four-legged friends along! Enjoy top attractions like Pienza Cathedral, Palazzo Piccolomini, and Golf Club Valdichiana. Other things to see include Valdichiana Outlet Village, Parrocchia S. Biago, and Rocca di Marciano. Need a pet store? Try Toelettatura Qua La Zampa - Camucia, Podere Santo Smeraldo, or NUOVA CACCIA E PESCA. For vet care, Clinica Veterinaria San Silvestro - Servizio Tac Veterinaria Dott. Gallorini Francesco & Cozzi Lepri Daniele, AMBULATORIO VETERINARIO della DR.SSA CAPACCIOLI e DR.SSA ROSSI, and Clinica Veterinaria Ipogeo Dott. Censi Arnaldo are located in the area. Pets are allowed at this 3-star hotel. Pets are allowed for a fee at this 4-star hotel. Weather can make or break your stay, especially if you want to spend time outdoors. Here are the average daytime and nighttime temperatures to help better plan your vacation in Farneta. From January to March, average temperatures range from 61°F in the daytime to 37°F at night. Between April and June, the daytime average is 85°F and the nighttime average is 42°F. From July to September, average temperatures range from 89°F in the daytime to 56°F at night. Between October and December, the daytime average is 76°F and the nighttime average is 39°F.